The Education Endowment Foundation (EEF) funds projects that seek to improve the educational attainment of pupils who are eligible for free school meals. Projects should be cost-effective and replicable. 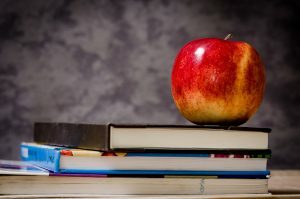 The EEF is looking for projects that have been well planned, with a clear explanation of how they will be implemented within schools or educational settings. They should also have evidence that shows how the approach taken will be effective. You can use wider research literature for this, but it should link specifically to your approach. Projects should also be scalable; that is, it is possible for the project to be delivered by other teachers and other organisations in England. Improving secondary school teaching, especially Key Stage 3 teaching or in English and maths GCSE teaching. Providing better evidence of impact for popular programmes already widely used by schools. Improving Level 2 outcomes for 16-18 years olds in English and maths. Providing better evidence of impact for widespread school practices. There is no minimum or maximum grant. Past grants have ranged from £90,000 to £1.8 million. Any not-for-profit organisation can apply for funding from the EEF. This includes primary and secondary schools, charities, local authorities, academy chains, universities, social enterprises and community interest companies. There is an application form to complete, which is available on the EEF website. Please read the thorough guidance notes and FAQs, which are also available on the EEF website. The deadline for applications is 5pm on 5th July 2018.